Cat® compact track loaders provide excellent traction in even the most challenging underfoot conditions. Their relatively small size makes them easy to maneuver, meaning they’re well-suited for working in confined areas. These versatile digging, loading and earthmoving machines can boost your company’s productivity and increase jobsite efficiency. 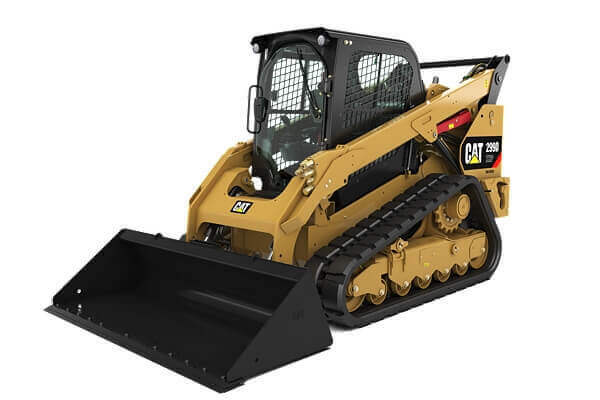 If you’re a Cat compact track loader owner in Indiana or Michigan, MacAllister Machinery can provide affordable replacement parts to keep your machines on the job. As one of the largest Cat equipment dealers in the U.S., you can count on us for a full selection of Cat track skid loader parts for virtually every model. You’ll also experience the exceptional service that’s been the hallmark of our company for more than 70 years. Our extensive parts inventory includes brand-new genuine Cat OEM products that offer the advantage of longevity. These top-of-the-line parts and components feature the most advanced Caterpillar® technology and innovation to produce the most reliable jobsite results. You’ll find brand-new replacement parts for every inch of your compact track loaders — everything from undercarriages and hydraulic system components to cabs, lights, belts and more. 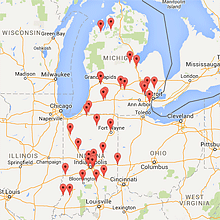 Cutting expenses is a top priority for many Indiana and Michigan companies these days. Used compact track loader parts can help you achieve your budgetary objectives. Our high-quality used parts and components enable you to save money without sacrificing dependability. We’re constantly upgrading our used parts inventory to ensure the best selection for our customer base. 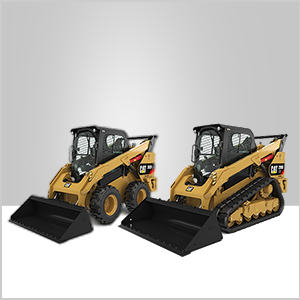 We even carry parts for older Cat compact track loader models. You can also purchase refurbished parts that help you stretch your equipment dollar. These expertly remanufactured parts and components adhere to strict Caterpillar quality and performance standards — you’ll get a like-new item with warranty coverage at a fraction of the cost. We also offer an exchange program where you can trade your old, worn-out compact track loader parts for reconditioned products. You can order Cat track loader parts from MacAllister Machinery at your convenience — our online parts store is always open for business! Browse a huge inventory of more than 1.4 million new, used and remanufactured parts on your computer or mobile device and place your order quickly and securely. You can also contact one of our knowledgeable parts specialists for personalized assistance. We also offer an array of flexible delivery options to meet your requirements. You can pick your parts up at the dealer or one of our convenient drop box locations throughout our operating territory. We can even ship them to your facility or worksite. Feel free to browse our inventory of new, used and remanufactured compact track loader parts and place your order today. You call also stop by or call the MacAllister Machinery location near you.